STUDIOCANAL have confirmed that Studio Ghibli’s CGI animated TV Series Ronja: The Robber’s Daughter will be available on Blu-Ray and DVD as a complete series collection from the 4th December 2017 within the UK. Originally released as an Amazon Prime Exclusive series, and is currently still available to Stream on Amazon Prime, this complete series colleciton release will feature all twenty-six episodes in English Dubbed format across a selection of discs. It’s worth noting that the series is only available in English on Amazon Prime and it is the same case with this Blu-Ray and DVD release of the series. Synopsis: From the legendary Studio Ghibli (Spirited Away) and based on the beloved novel by acclaimed writer Astrid Lindgren (Pippi Longstocking), comes this epic 26-part story of adventure and friendship. 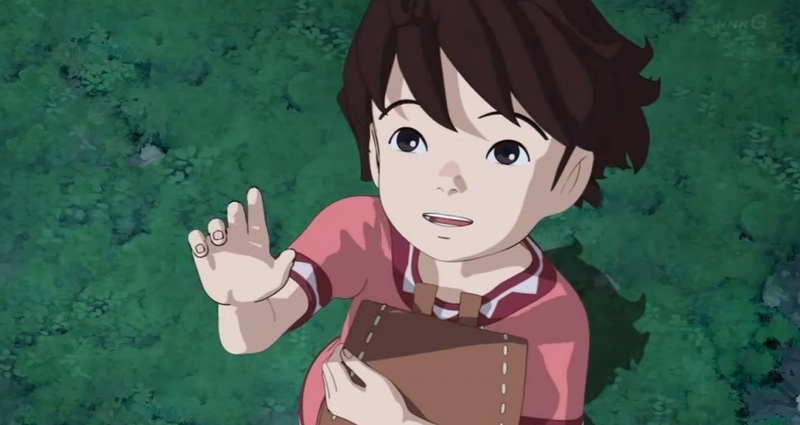 Directed by Goro Miyazaki (Tales From Earthsea), and featuring a fantastic English voice cast including Gillian Anderson, Ronja tells the tale of a ten-year-old girl born on a stormy night in a mountain fort, surrounded by her parents and a loving band of robbers. Ronja grows to be a strong and active girl, and discovers that the forest is both a beautiful and frightening place inhabited by strange creatures. She befriends the son of her father’s rival and so begins the drama of her friendship and family loyalties. This collection will also feature a selection of bonus features such as Cast Interviews and Making of Documentaries; all of which explore the series and its characters in greater detail. Ronja: The Robber’s Daughter will be available as a Blu-Ray and DVD collection on the 4th December 2017 and is currently available to pre-order from a selection of online retailers; including Amazon UK.